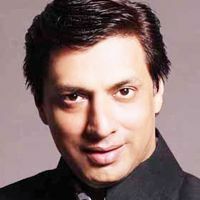 Check out the most updated and latest information about Madhur Bhandarkar's on the Internet.We have 57 videos of Madhur Bhandarkar including interviews, events, or public appearances.Madhur Bhandarkar has over 2 Fans registered on India-Forums.com. We have 595 Bollywood News articles related to Madhur Bhandarkar.Do share your criticism, comments and feedback for the Actor on Madhur Bhandarkar's comments page. We have over 4 Photos of Madhur Bhandarkar to view and download including Madhur Bhandarkar's Wallpapers.